I found a vibrant red wall at Mississauga City Hall and asked the girls to have fun with the Bride's Dress. 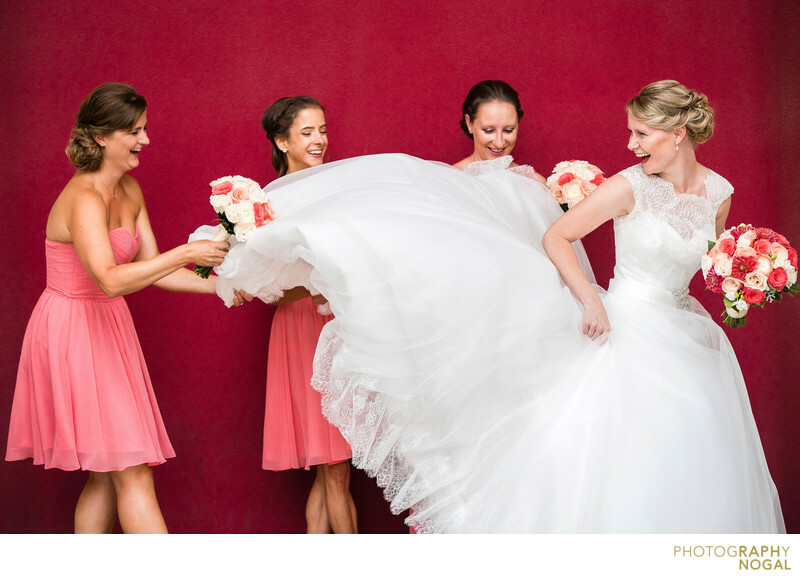 The results was a beautiful and fun photo of the Bride and Bridesmaids laughing, giggling and having fun. Location: 300 City Centre Dr, Mississauga, ON L5B 3C1.